Anyway, back to the trip. This time we were down to 4- myself, Liza, Razeif & Manto. Mas couldn't join us. We sure felt her absence. It would have been louder with her around, wish you were there! Ah but the trip couldn't have come through without drama, at least for me. The rest went to KL Sentral to catch the bus to LCCT, while I decided to take the direct bus to LCCT from 1Utama as it was nearer to my home. I thought I could just purchase the ticket before boarding the bus, like the norm at KL Sentral. But my mom reminded me that I should buy the ticket beforehand. Stubborn me just pooh-poohed her. I assured her there would be no problem. So my parents sent me to 1U and I was right there by 6.45am But the counter wasn't yet opened. Slight worry there. Just before 7am, the bus arrived. But the driver wouldn't let those without tickets to board the bus. He gave me a number to call, I called, but there was no answer. We waited some more for the counter to open, but there was no sign of it opening. By 7.30am, the driver decided to move, only taking those with pre-booked (via online) tickets to board. Ah the gang was having breakfast at McD, there was still sufficient time, phew! Shortly after that, we proceeded to the immigration counter and were on our way to Solo! Going Solo yeah. Our flight to Solo would take us 2.5 hours. We arrived on time at Solo (or Surakarta) at 12 noon WIB (local time or Waktu Indonesia Barat). WIB is 1 hour behind Malaysian time. The Solo airport is small, when we reached the immigration counter, only 1 was opened. We were in queue for an hour! And we ended up last in line, although when we started to queue, there were others behind us. I guess we were not kiasu as the rest ;-) Btw I noticed that for first timers, the procedure was a bit longer. Manto had to have his picture taken, and both his hand prints taken, yes hands, not thumb. Oh, another drama unfolded- Liza's luggage was detained by the immigration for inspection because she brought a bottle of vitamin. Lesson learnt - next time just bring a few of the vitamins in a small package. 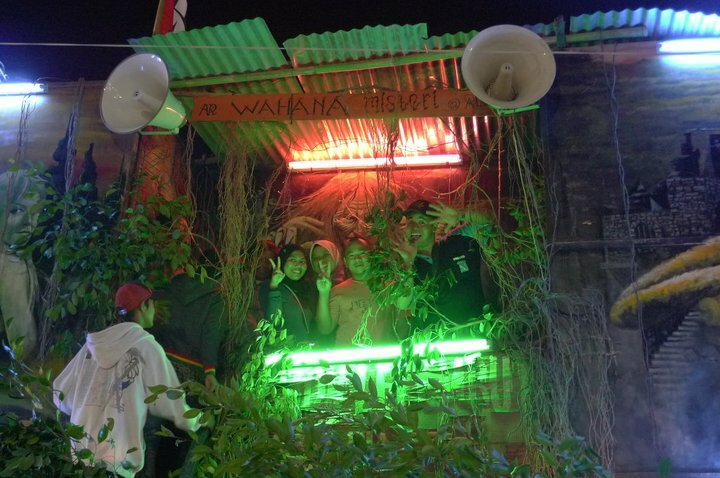 Finally we met up with our guide- Trihan from Tanah Agung Tours. Razeif had made prior arrangement with him through the forum. Such a nice, polite guy ;-) We were then whisked to the Kraton Puro Mangkunegaran, as it would be closing at 2pm. Unfortunately, by the time we arrived, it was already closed. 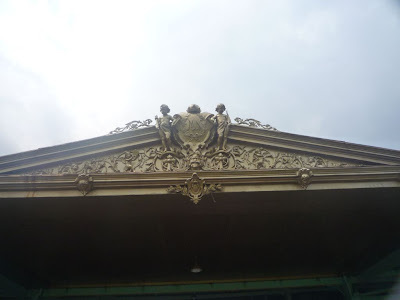 But the nice satpams allowed us to take pictures from the kraton compound and did not charge us the entrance fee. 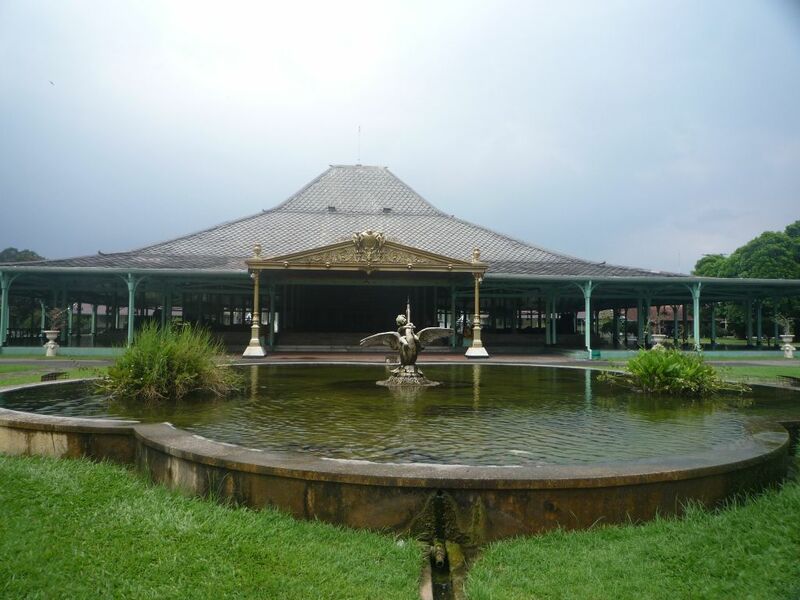 The kraton closes early as it is managed by the government, hence opening hours follow the government's working hours. I was disappointed too that we couldn't visit Sangiran, an early man site, which is also a Unesco Heritage Site, no 593 in the list, as it also follows the govt working hours. 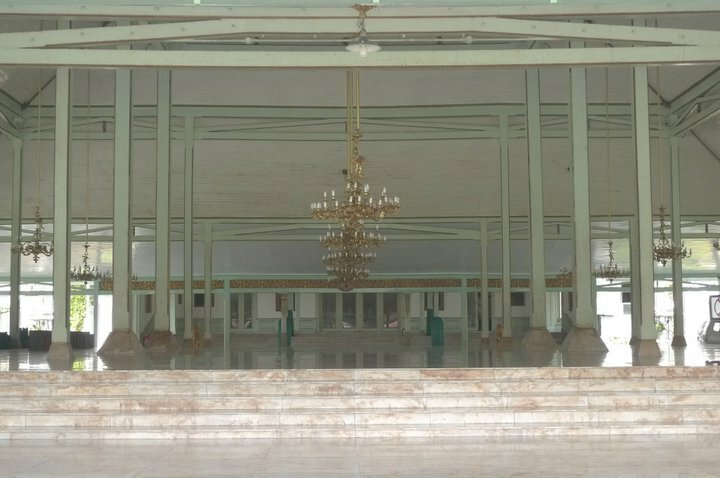 A little background on Kraton Puro Mangkunagaran- it was established in 1757 by Kanjeng Gusti Pangeran Adipati Aryo (aka Mangkunegoro I ). 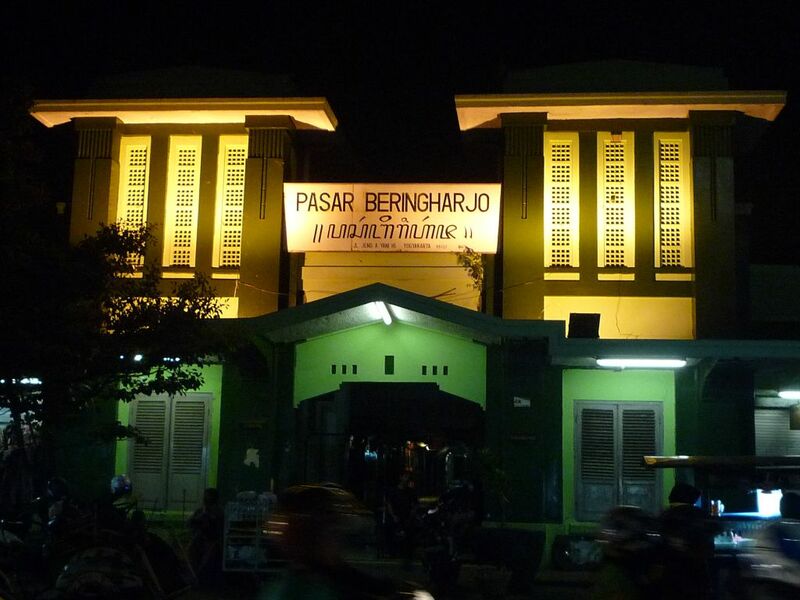 The Mangkunagaran Principality was founded on the western side of Pepe river (Kali Pepe) after a series of bitter struggles against his family and the Dutch V.O.C (East India Company).It has the characteristics of a typical kraton (or palace) - pamedan, pendopo, pringgitan, dalem, and kaputran. 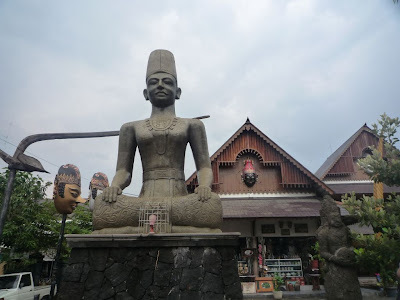 Dalem or Dalem Agung i.e. The Great House - is a traditional house with a room called Pringgitan , a place where traditional and sacred ceremonies are performed. 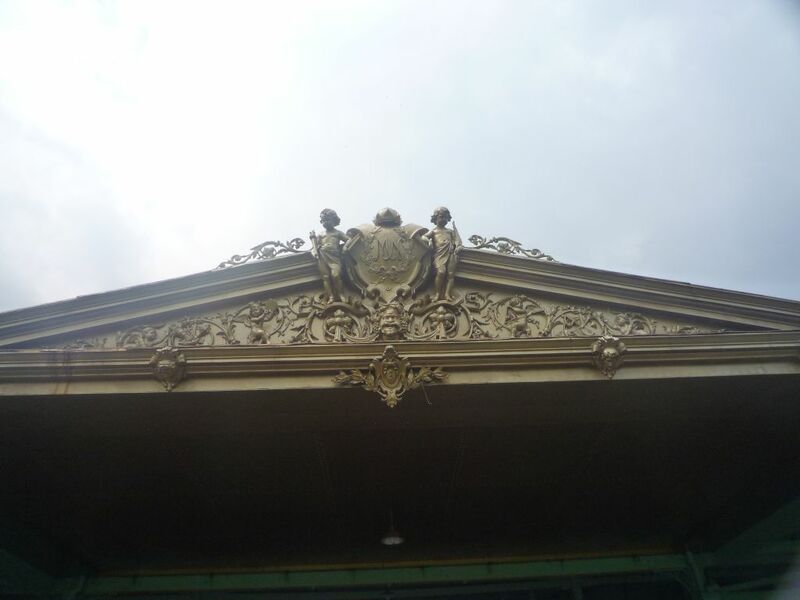 There is also European influence from the Dutch VOC colonisation which can be seen from the angel and lion statues. 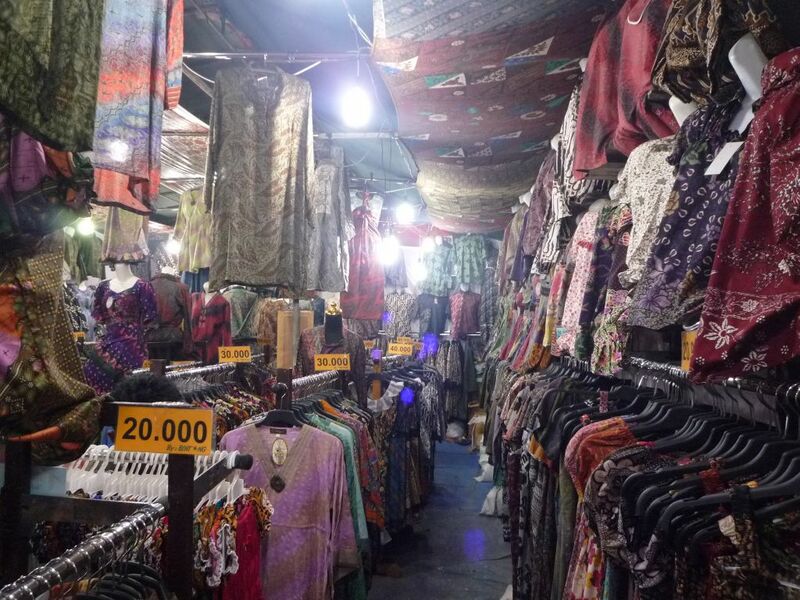 We headed next to the Triwindu (or Windujenar) Antique Market, just across the road from Kraton Mangkunegaran. 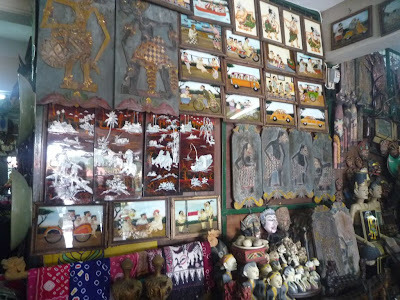 You can find batik fabrics, old bank notes and coins, batik stamps, old gramophones from Europe, puppets painted on old wood plates, bicycles from 1930s, old paintings, oil lamps, Buddha statues, coal irons and others. 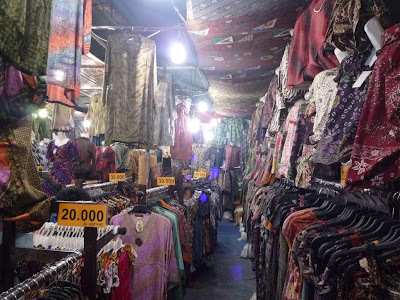 We didn't buy anything here, just looked around and took pictures. Trihan then took us around the backalleys of Klewer or Batik Market where we saw stalls selling ketan (like dry glutinious rice) shaped into bicycles. We didn't stop here though, just passed through. We did stop at PGS (or Pusat Grosir Solo). Me and Liza did some shopping here while the guys waited for us. Ah we were hungry already by then. 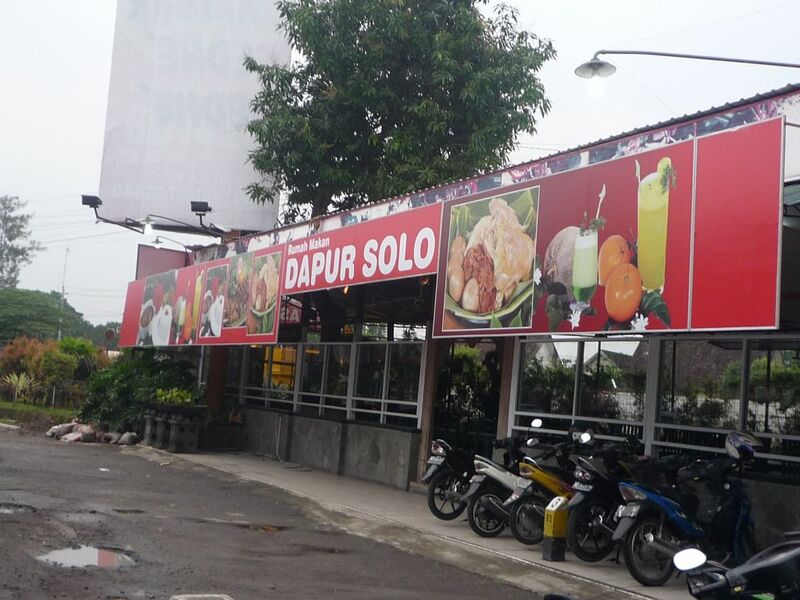 Knowing Wong Solo (means orang Solo) restaurant originated from Solo, I asked Tri where is the branch in Solo. Tri explained that the restaurant is no longer popular there because of the originator's “extra-curriculum” activities, so people boycotted him. Not really sure if this 100% true or not, but we sure didn't see any of the branches in Solo nor Yogya, although it is doing brisk business in Malaysia. So Tri brought us to Dapur Solo instead. 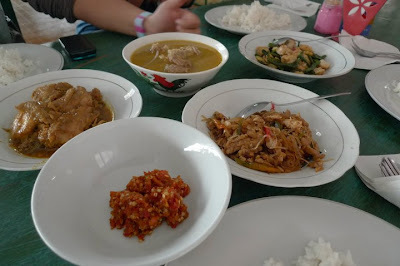 We had late lunch nasi padang style, but we chose the dishes first. The dishes tasted sweet, not too spicy, unfortunate for Liza who is a fiery eater. 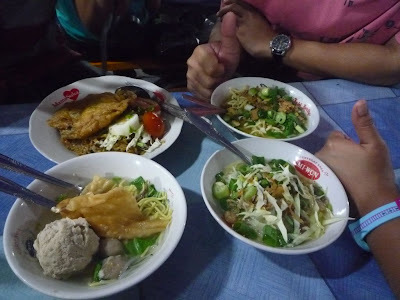 We took quite a lot of dishes, but all only cost us IDR 97500 (RM35). The restaurant is situated just beside the train railway, so as we ate we watched trains passing through. And it was drizzling at the time. It brought some sense of laidback and calmness. In 1744, the Mataram king Pakubuwono II, backed the Chinese against the Dutch, and the court at Kartasura (Surakarta or Solo) was sacked as a result. Pakubuwono II searched for a more auspicious spot to rebuild his capital, and in 1745 the entire court was dismantled and transported to Surakarta, on the banks of the Kali (River) Solo. In 1757, the kingdom of Mataram was divided into the Surakarta Sultanate (northern court) and the Jogjakarta Sultanate (southern court). Rivalry between the two was a deliberate ploy by the Dutch to distract the attention from the presence of the Dutch colonial power. Then another rival royal house of Mangkunegoro was established. Hence, the establishment of 2 kratons in Solo – of Mangkunegoro and Pakubuwono dynasty. Duringthe proclamation of Indonesian Independence, both Mangkunegara VII and Pakubuwono IX declared Surakarta a part of Republic of Indonesia (RI). 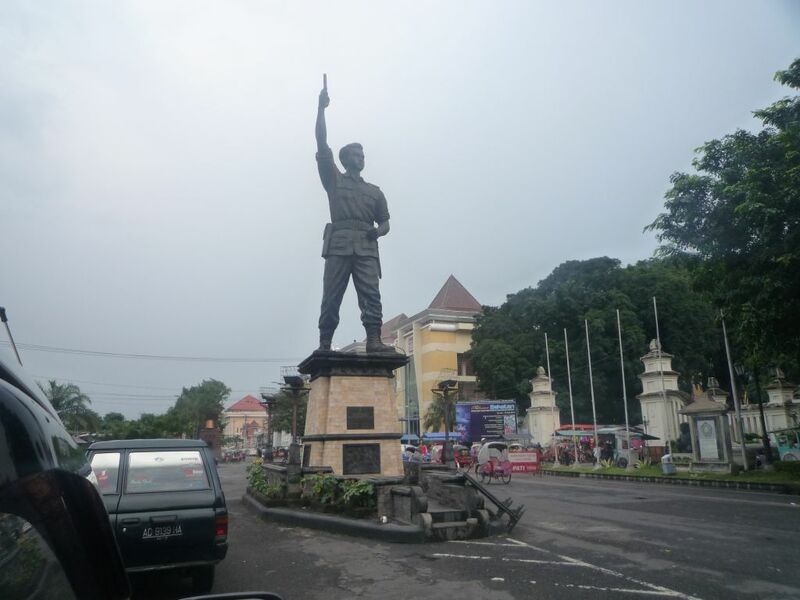 Because of this support, President Soekarno declared Surakarta as Daerah Istimewa Surakarta (DIS)/Surakarta Special Region. As for Yogyakarta, the City of Jogjakarta and the Kingdom of Jogjakarta was established as a result of a "Gianti war treaty" by HRH Prince Mangkubumi, who later become HRH Sultan Hamengkubuwono I. Officially, the Kingdom of Jogjakartawas established in 1756 as a result of civil war among the bloodline of The Kingdom of Mataram. 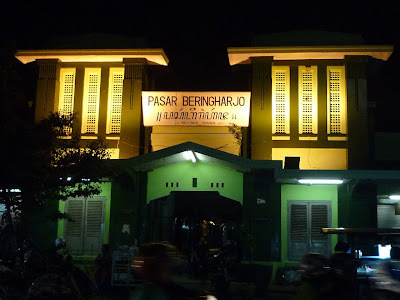 The root of the civil war started when Sunan Pakubuwono II agreed to cooperate with the Dutch colonial government and submit to foreign (western) powers, while his younger brother, Sultan Hamengkubuwono fought against this until the defeat of the Pakubuwono forces and declared sovereignty in the Kingdom of Jogjakarta south of the original Kingdom of Mataram. 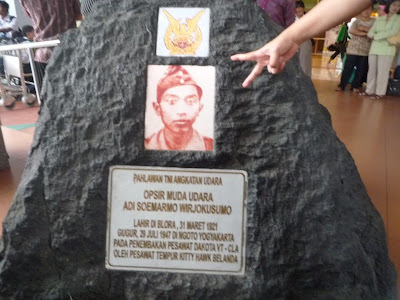 Because of this historical act of bravery and sacrifice, Jogjakarta is given Special Administrative Region (SAR) status, making the Province of Jogjakarta the only province headed by a monarchy. 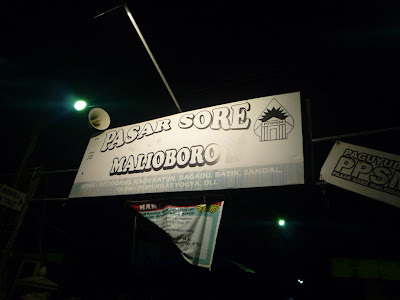 Another interesting note is that the names of the streets in both Solo and Yogya are based on their brave warriors e.g. Slamet Riyadi, General Ahmad Yani, Laksamana Adi Sucipto (the name of Yogya airport- he established a flying school in Yogya), and Officer Adi Soemarmo (name of Solo airport), among others. There are also many statues erected in the name of these noble men. 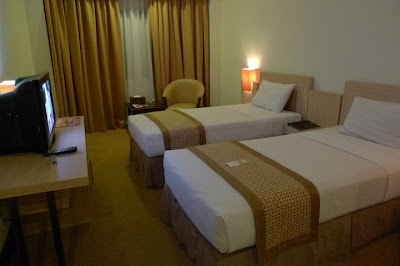 We finally arrived in Yogya at 7pm WIB and checked in at our hotel- Abadi Hotel. The rate is IDR 580,000/night/room with breakfast (RM200) for Superior room. Fortunately none of the Bandung episode happened here ;-) Our room was clean and comfy with mineral water, a plethora of satellite channels (sempat layan bola sambil massage) and hot water. We decided to go for massage at the hotel, and straightaway, as the spa would be closing at 9pm. Myself and Liza had our massage in our room. Unfortunately, there was no massage spas around the area, so that was the only session that we had for the trip. After a slightly rejuvenating massage (Liza preferred a stronger massage), we hit the streets again. 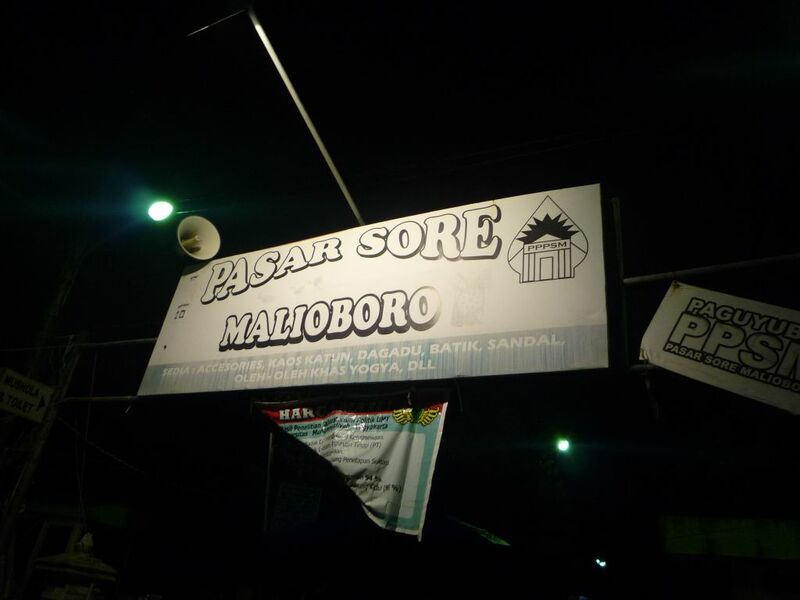 We walked along Jln Malioboro where a hive of activities (and throngs of people) were still going on as if the city never sleeps. Young people hanging around, chatting, playing music or just chilling out. There were homeless people too, sleeping by the roadside, in front of closed shops where there were spots free of the lesehan. Trishaws and horse carriages (yes horse!) wheezes past us, the ones without customers trying to persuade us to take a ride. We declined and we continued walking until the end of the road where we saw lightings beamed to the night sky. 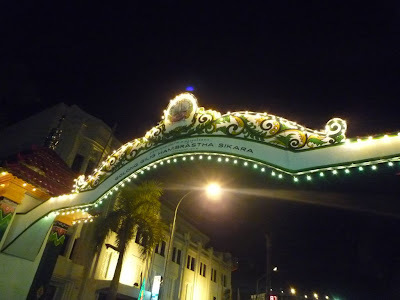 It was a Sekaten - it commemorates the birth of prophet Mohammad and is one of the most popularly celebrated festivals in Yogyakarta. 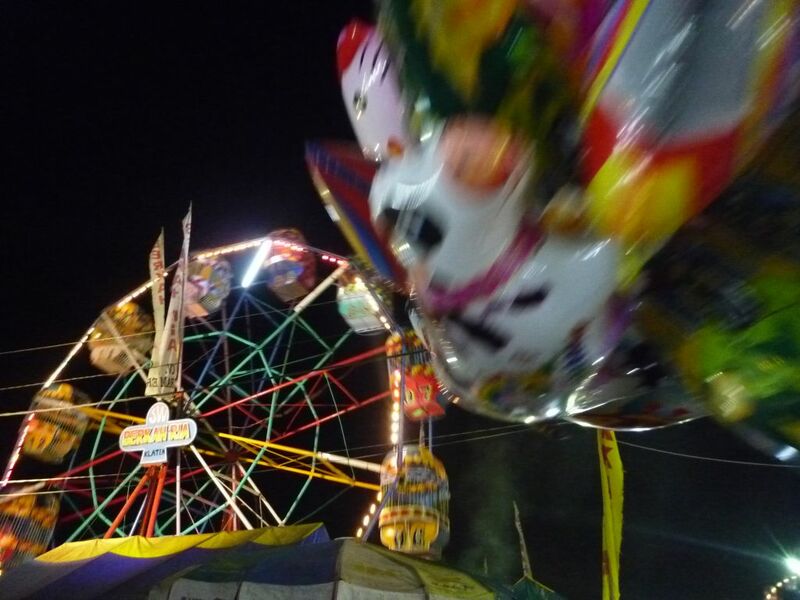 There is a night fair going on, which is held at Alum Alun Utara for almost over a month. There were clothes and food stalls, ferris wheel, merry-go-round etc. There is a special midnight parade where the Royal Sevants or the Abdi Dalem marches from Ponconiti hall carrying 2 sets of Gamelan that are are considered to be sacred. 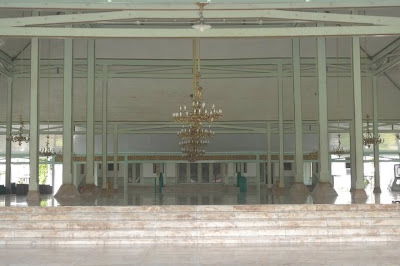 The two Gamelans are played simultaneously for seven long days and they are finally returned at the Kraton. After briefly browsing around, we decided to have supper at one of the stalls. Then Liza heard screams and shrieks from the nearby rumah hantu and wanted to go. We relented, but in the end, she cheated- she shielded herself behind me and closed her eyes so she didn't see any of the ghosts. It was very brief though – I thought it only lasted for a minute or so. We paid IDR5000 (RM 1.70) for it hehe.. 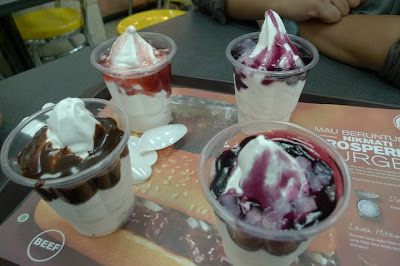 Already midnight, we decided to walk back to the hotel, but not before detouring to a 24 hour McD to have a sundae each. The blueberry sundae tasted good. Not sure if it's available in Malaysia. We then went back to the hotel for a good rest after such a long day.